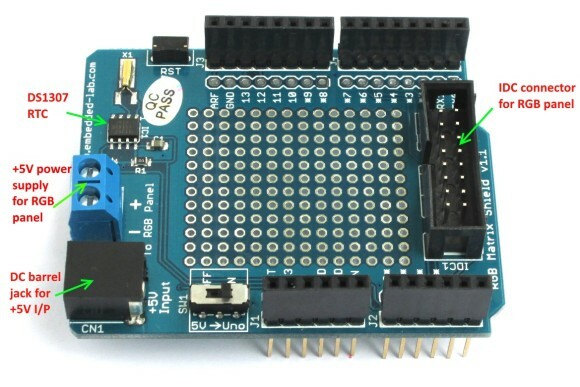 1A Constant current LED driver shield for Arduino Nano has been designed for verity of LED related applications. The shield provides accurate LED current sink to regulate LED current in a string of LEDs or single LED. The LED current is mirrored from the current flowing from the RSET Preset PR1. 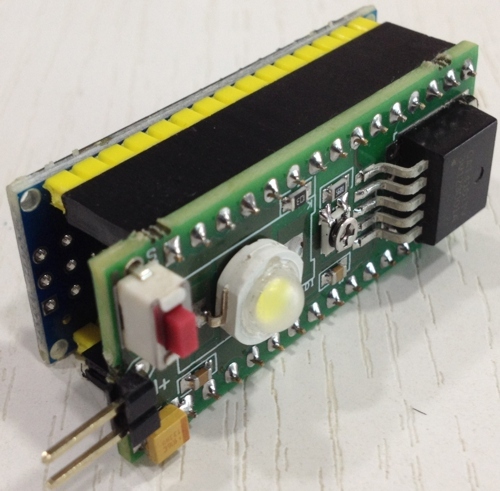 On board 1W LED is used for testing purpose. External high Wattage LED or multiple LED string can be connected by pulling two wires from the PCB and this shield fit directly on back side of Arduino Nano. Shield also has on board tactile switch connected to Digital D2 pin using pull down resistor if required for any application. 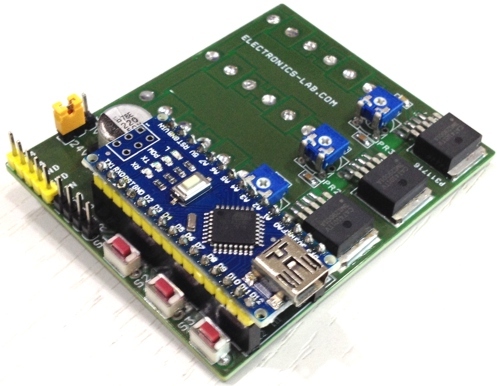 On board preset helps to set the maximum constant current. PWM input pin connected to Digital pin D6 of Nano to control the LED intensity. Example code FADE-IN/FADEOUT helps to test the shield.